Forecourt overbag are a hugely popular product for Kaizen as they provide an extremely cost-effective outside signage opportunity for your business. These heavy duty outdoor signs are larger than Standard Wind Master poster frame and even more capable of withstanding elements our Belfast weather has to throw at them. Printed on a 440 GSM high quality PVC Banner material I'm stitched with a high tensile thread, our forecourt overbags are extremely durable and will last the length of your promotional period. Though, as they are extremely cheap to replace, you can change them every few weeks or when your promotional offers change. Our forecourt over bags can be seen all across Northern Ireland, Republic of Ireland and the rest of the UK outside garages, retail stores and warehouses who need and extremely affordable outside signage option. This heavy duty signage is perfect for businesses who need large format and weather resistant displays for the forecourts or pavements outside the premises. 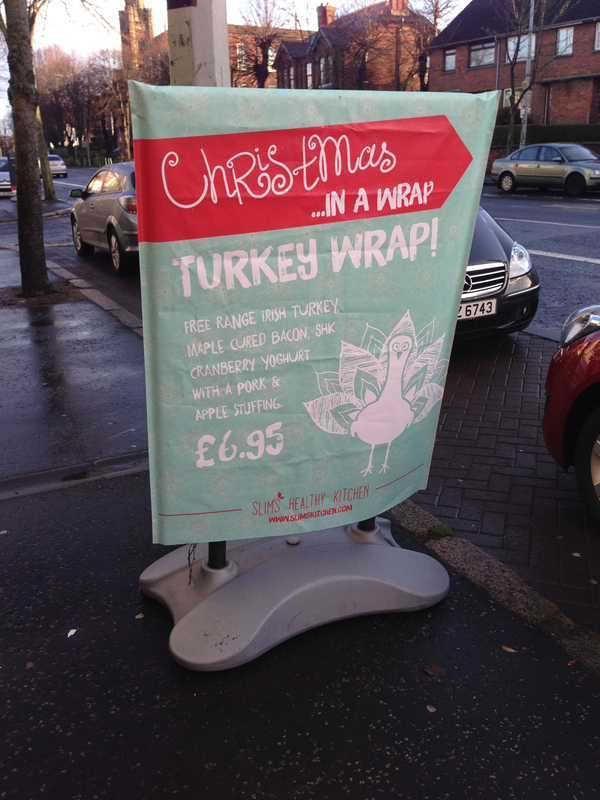 Below you will see a sample of our forecourt over bags used by Slims Healthy Kitchen, Belmont Road and Lisburn Road, Belfast. These vibrant graphics can be seen by pedestrians and stationary alike travelling along each of these busy roads. They create a huge impact for little cost. To order your forecourt overbag get in touch with our sales team on 028 9002 2474 or visit and upload your artwork after payment. We'll take care of the rest. 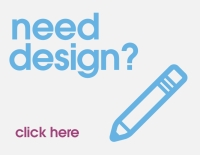 If you require creative, our design studio Will only be too happy to assist you with the creation of your overbag. Send us your brief, the dimensions of your overbag stand, any imagery or logos you wish to include and we'll send you a proof as soon as possible. It’s important not to forget the depth of your overbag frame as this will have a bearing on the overall size we need to create the design and print at. When sending you brief for your overbag, please also send us height, width and depth of your overbag frame. This ensures we design the overbag to exactly the right size for your frame.